We are loving August, in fact we are loving this summer. 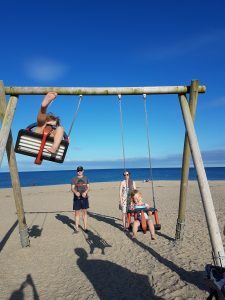 I think when we are a bit greyer and a bit older we will hold 2018 up there as one of the great summers; that seemed to last forever with humid days and warm evenings. I don’t know about you, but we are really making the most of it with alfresco dining and many a day trip out, not to mention the days spent enjoying the lush Cornish beaches. The Beach. Any beach, it doesn’t matter which one. Leave your phone in the car and go and enjoy every moment. Bury people in the sand, search for sea glass (or fairy glass as we know it), explore rock pools, try to dig through to Austrailia, splash around in the water. Do whatever makes you laugh, but leave your phone, enjoy the moment, right now. Explore a National Trust property – Lanhyrock, Trelissick, Glendurgan, to name but a few are all worth going to. 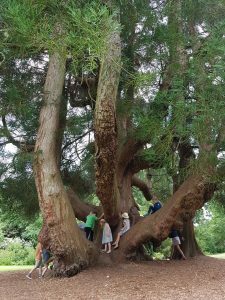 Last week we managed to squeeze in Trelissick and Glendurgan. Both stunning and brilliant for little people with trails to follow, trees to climb and beaches to run around on. It is worth noting every Staurday there is a Park Run at Lanhydrock and Eden. Explore Cornwall’s foodie delights. If you read any of my other blogs you will know I LOVE food and in Cornwall we are a little bit spoiled. If you are looking for breakfast we always head to Griggs. A proper Cornish breakfast awaits you and afterwards you can explore Griggs Country Store selling Joules, Frugi, Barbour etc. For lunch we recommend She Shells in Mevagissey, selling the yummiest crepes and ice cream. And then for dinner we would head to The Polgooth Inn – a proper Cornish pub serving the finest Cornish ales, a pretty good gin and tonic along with home cooked food. Take a walk – there are miles of paths, gardens and woods to explore. A day out we always do when friends come to stay is Cardinham Woods. With lots of parking, toilets, great play area and a lovely cafe you can spend a lovely family day here. The trails are varying in length and a great way to tire out little people. Spend time here. We spend our lives rushing from one place to the next so why not just stop for a day. 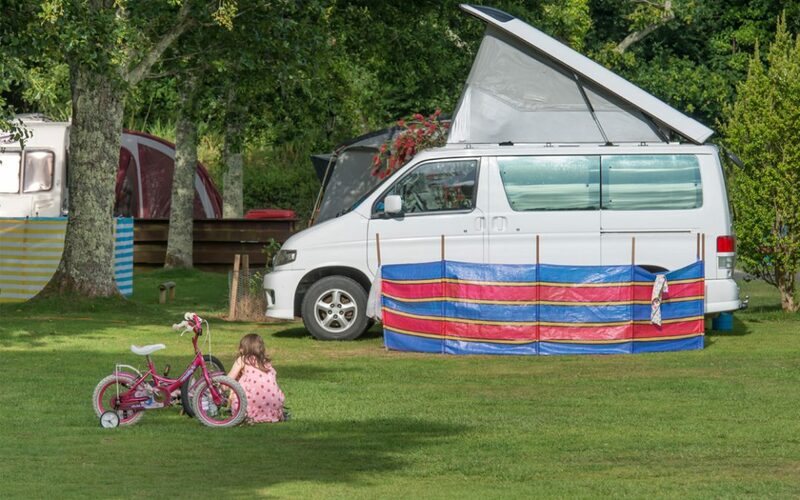 Make the most of our little sun trap of a touring park and relax. 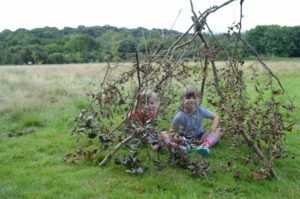 If you do get itchy feet then book into Camp Craft, every Monday at Little Winnick. We still have a few places available on Monday 27th August. As for us this weekend we are like lost souls as our oldest two daughters have gone away with their grandparents for a weekend treat, the house is quiet, tidy and a little bit empty! I am not used to sitting down at 6.30, jobs done with a glass on red in hand – I wouldn’t want to get used to it but it was a nice treat last night. So tomorrow my plan is to go blackberry picking as right now our rally field is bursting with berries, asking to be made into jam and chutneys. Happy holidays everyone.